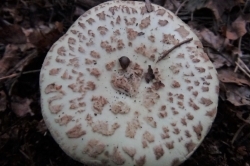 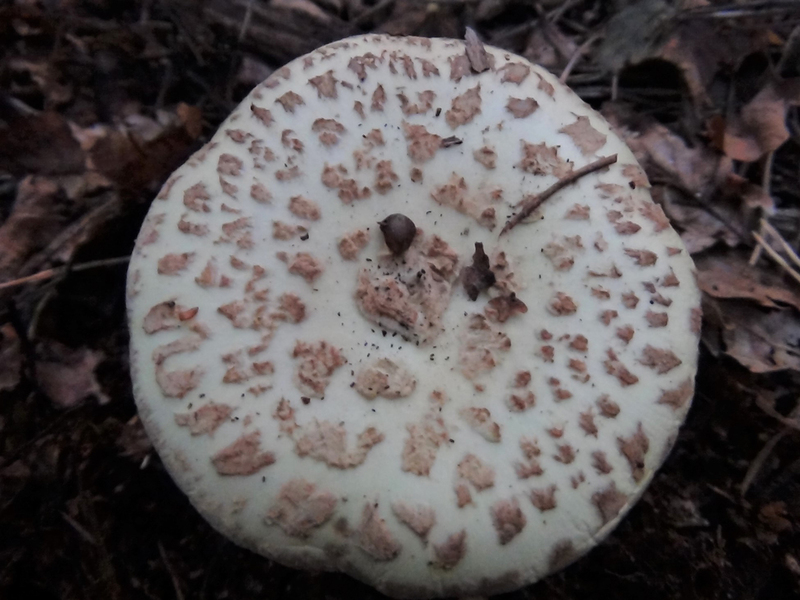 Although this mushroom looks like a deadly Amanita it is actually edible but not very nice and not worth the risk of confusion with deadly poisonous species. 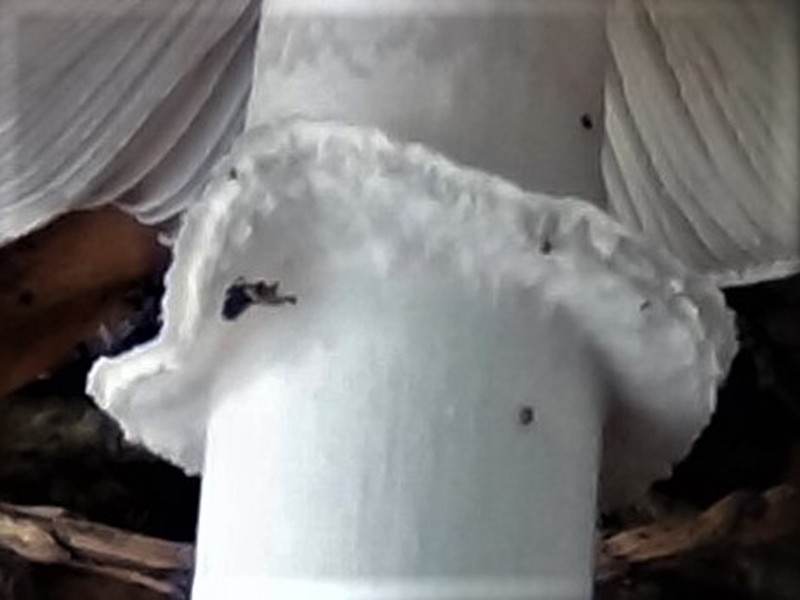 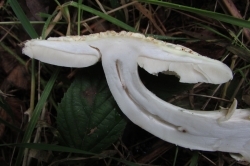 An ivory white to pale yellow cap covered in off white patches of the remains of the veil. 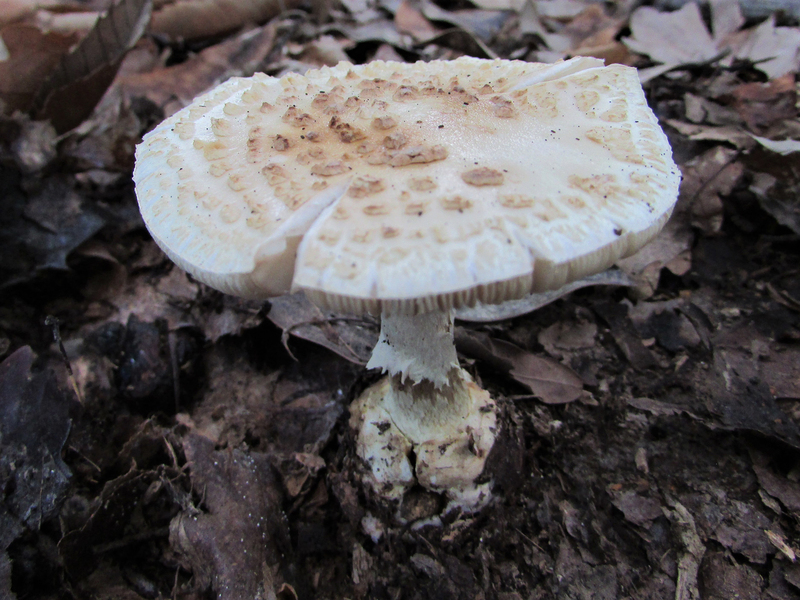 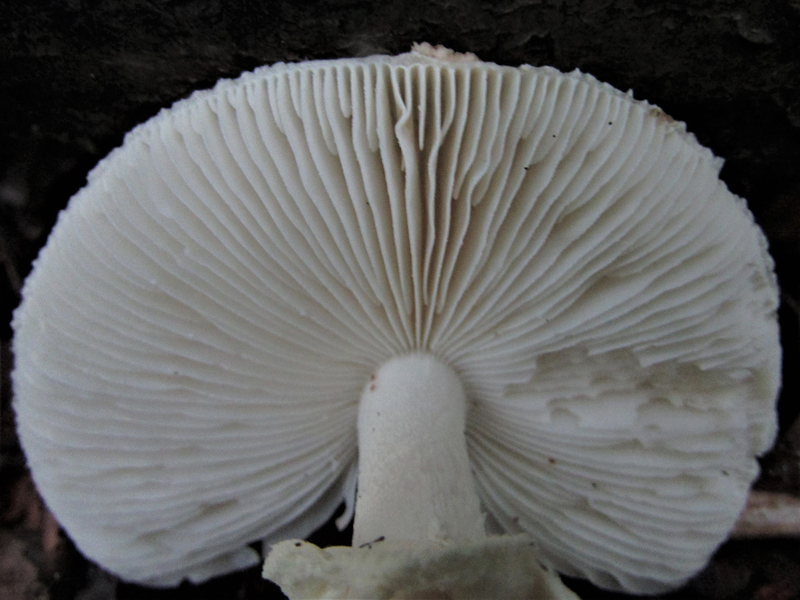 Gills white, free of the stem and fairly crowded. 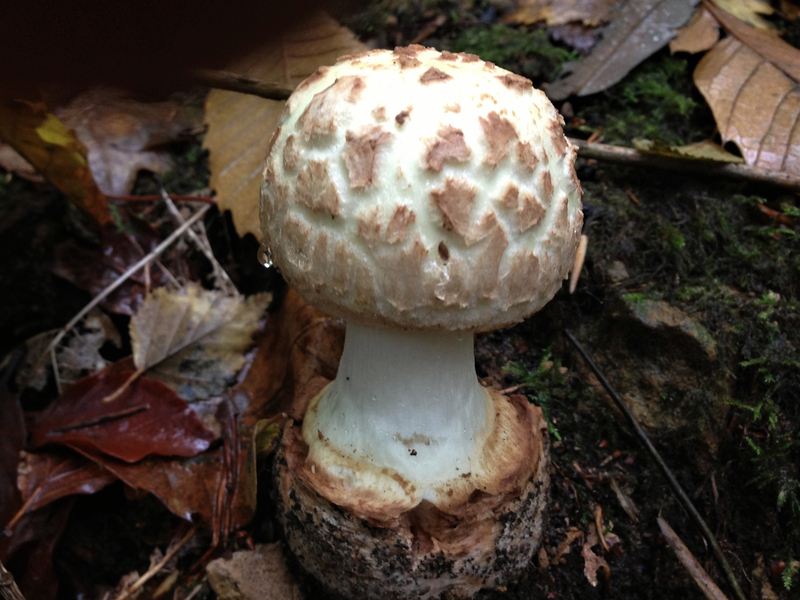 Ivory white to yellow with an obvious volval sack and a bulbous base. 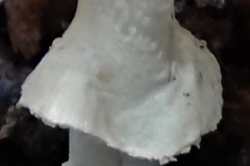 The skirt is quite large and usually hangs down. 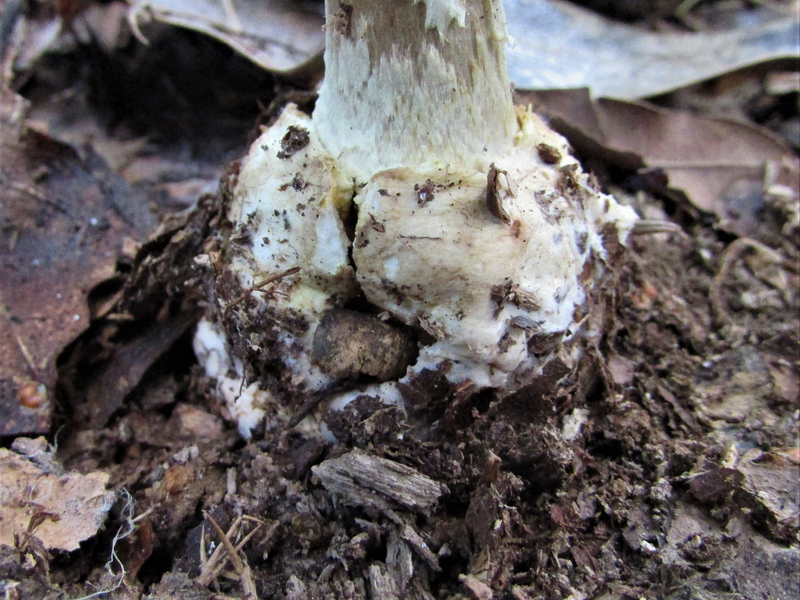 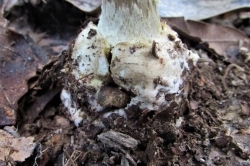 The stem can be hollow in older specimens. 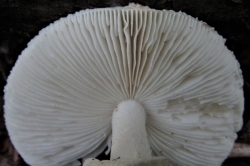 Fairly fleshy and superior, (hanging down). 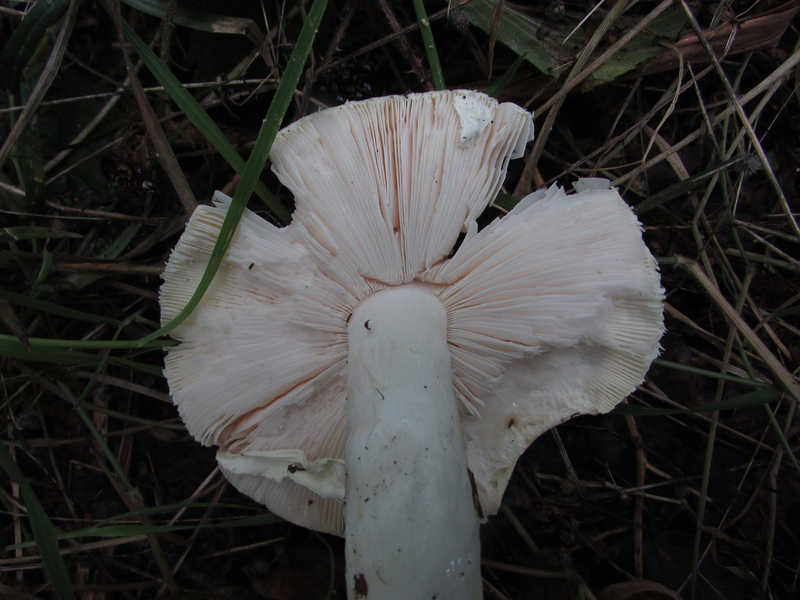 Has an obvious volva with ‘guttering’. 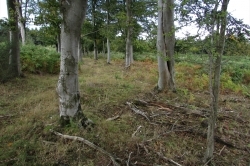 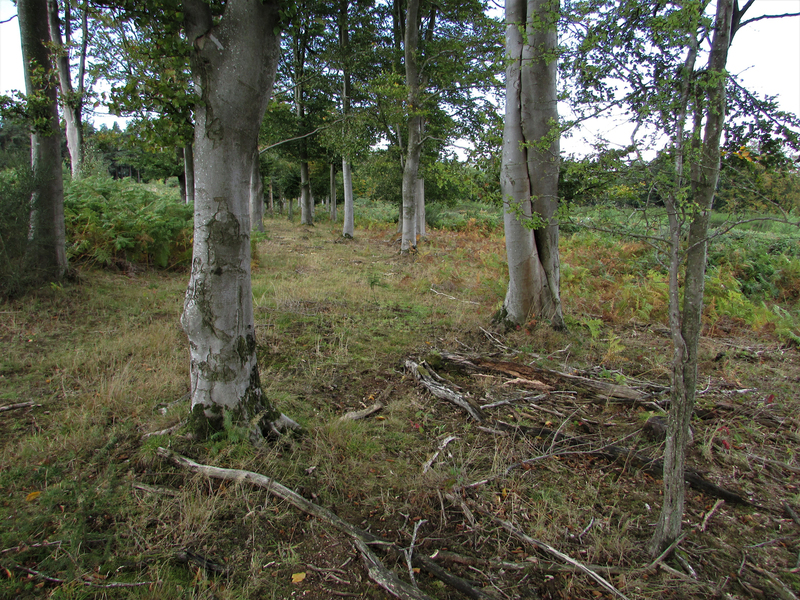 Mixed woodland especially with Beech. 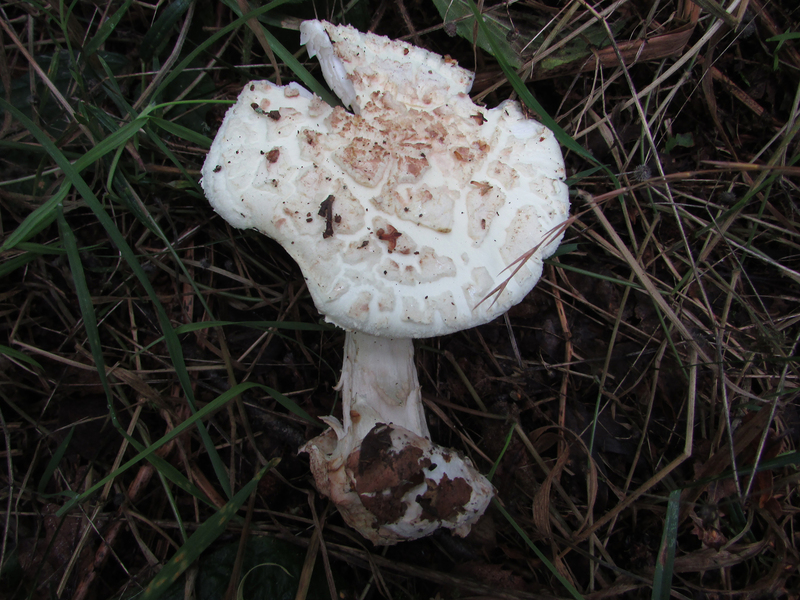 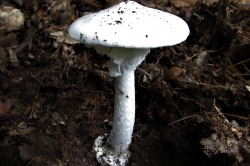 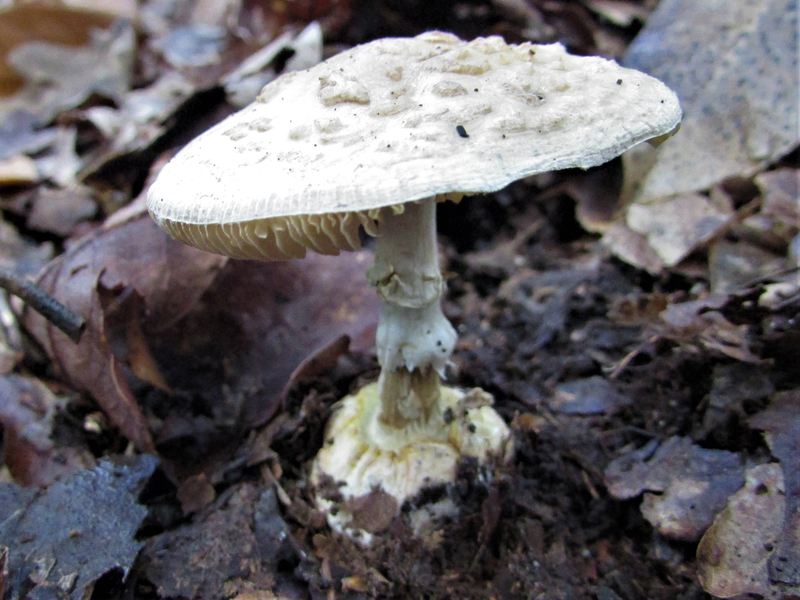 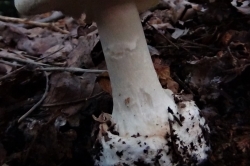 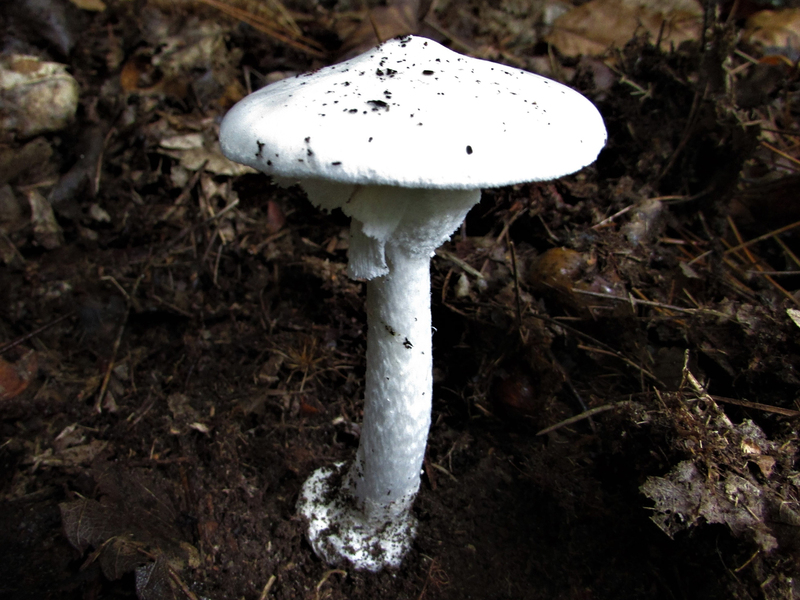 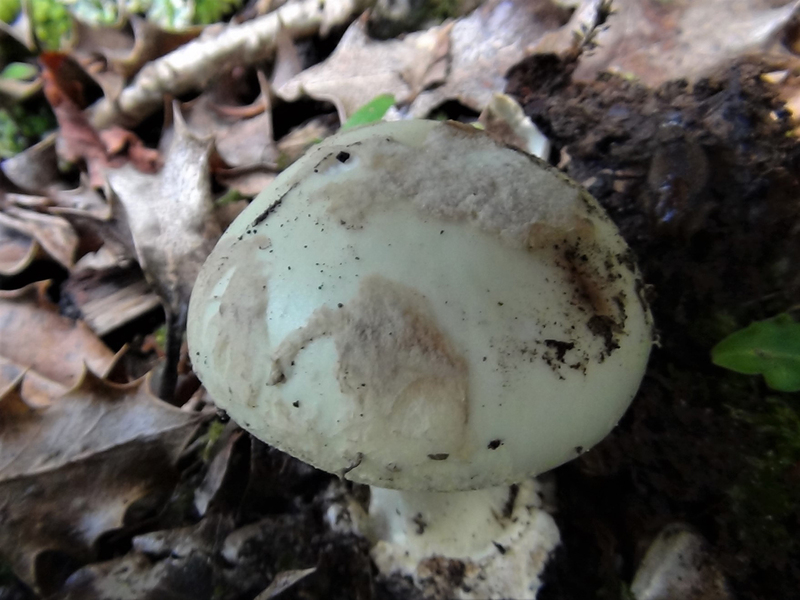 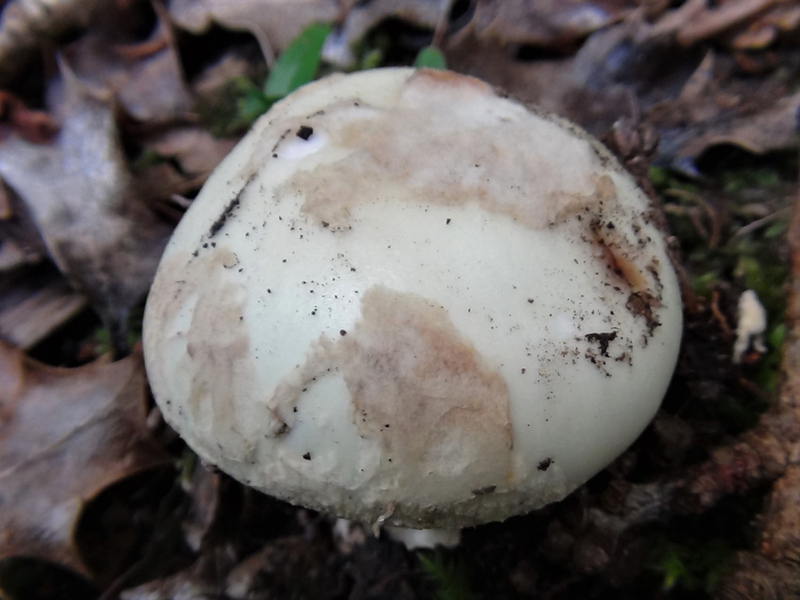 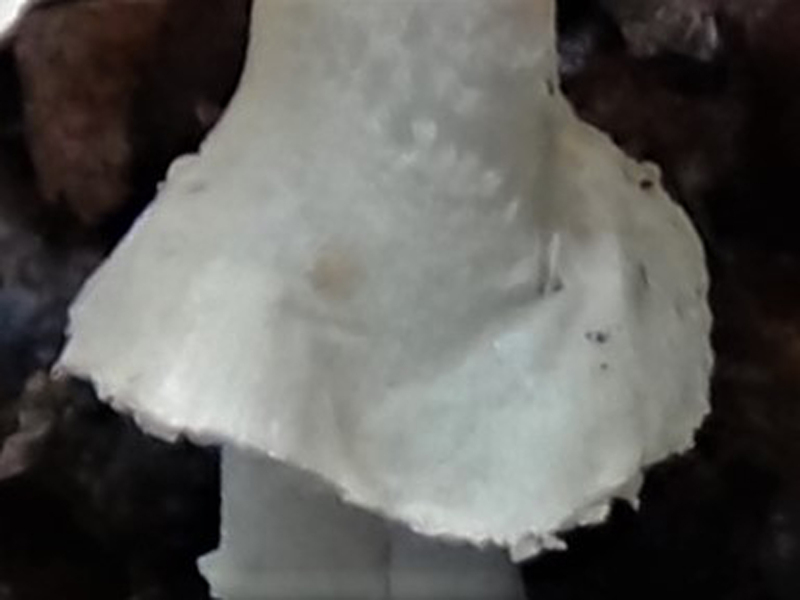 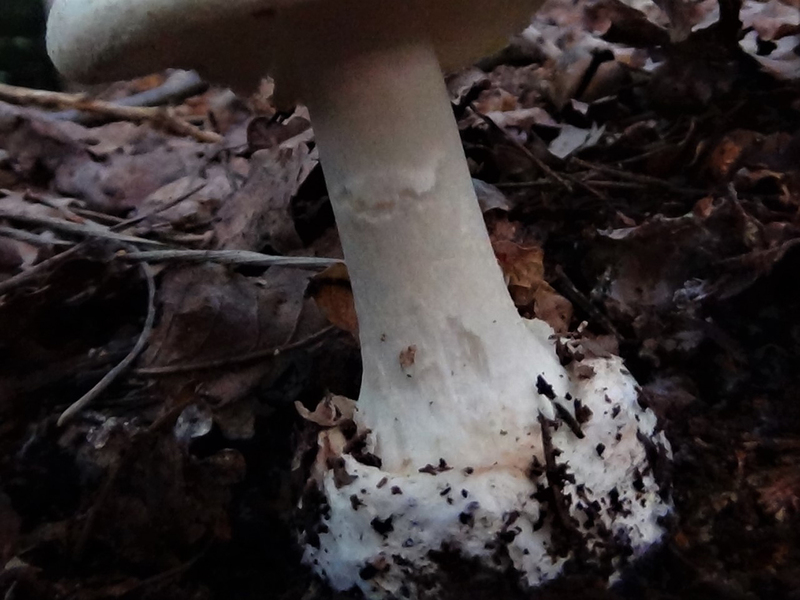 The Destroying Angel, Amanita virosa, pictured, or the Deathcap, Amanita phalloides, it is because of this possible confusion and its vile taste that we leave this mushroom well alone. 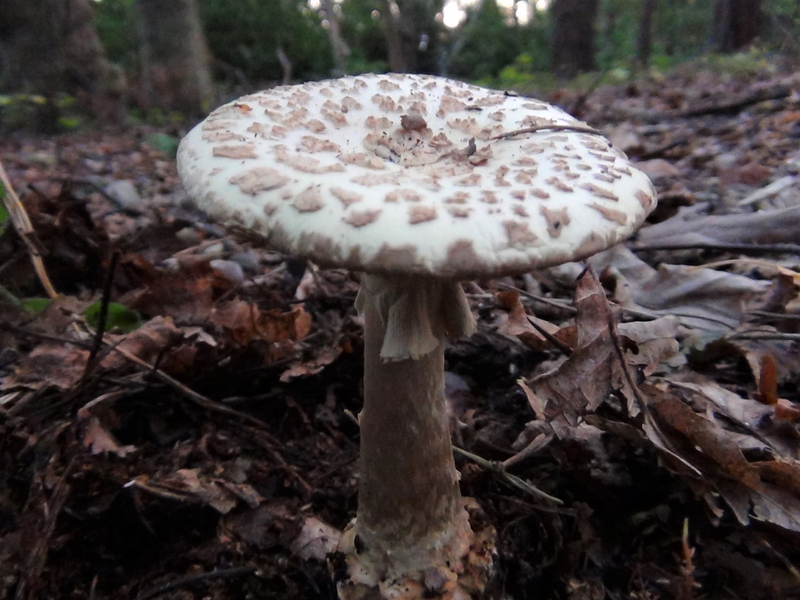 Although edible, not one for the table. 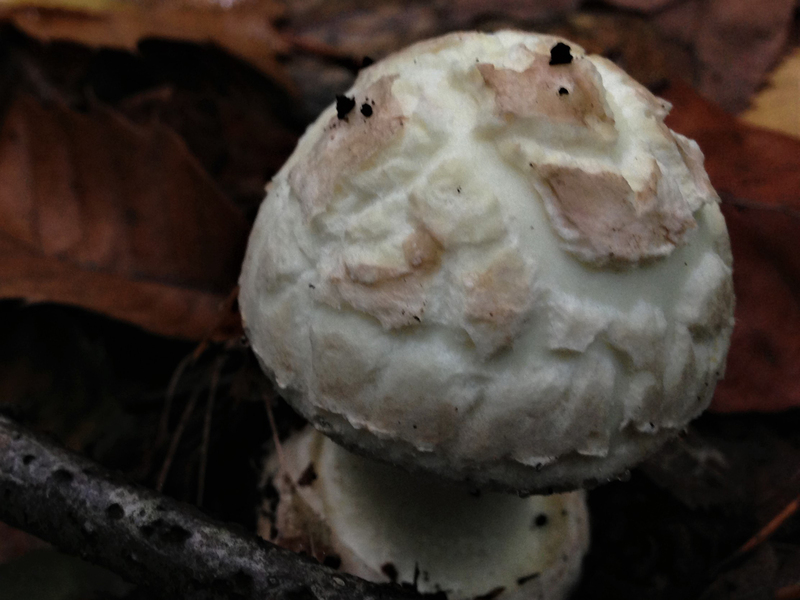 Unpleasant. 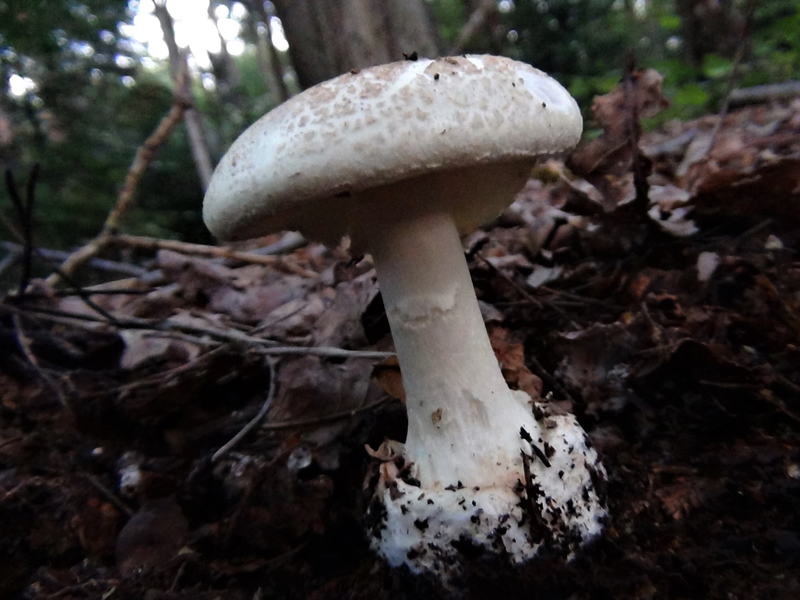 Smells of raw potato.